New potatoes like Jersey Royals and the quirky-coloured “heritage” types can be far tastier fresh from the ground than what you’ll find at supermarkets. But perhaps the biggest difference is when it comes to the potential health benefits of the more leftfield varieties. 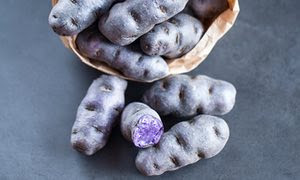 And if it’s these you are after, a growing body of scientific research suggests it doesn’t get any better than the dazzling shades of purple spuds. Packed full of the same pigments that give red wine and blueberries their potential health benefits, burgundy-hued spuds can boast a whopping three times the polyphenols of the regular white kind. 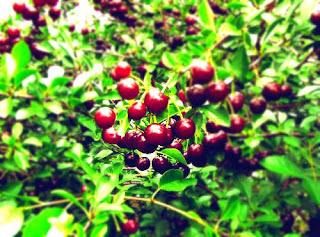 In fact, varieties like “Purple Majesty” or “Violette” can contain gram-for-gram as much good stuff as the berries themselves, according to Colorado State University. middle-aged subjects caused their blood pressure to drop almost five points within just a month – despite the fact that almost 80% of them were already on antihypotensive drugs. Such a fall could “decrease the risk of stroke by 34% and of heart disease by 21%” according to Barts and The London School of Medicine. These potatoes added 280 calories to their daily diet, but the subjects in this trial didn’t gain weight either.